"...ability to politely nail industry bosses to the studio wall"
"tough, inquisitive, but always fair"
31 January 2008, debate on the Pensions Bill, House of Commons "a consummate broadcaster...he always nails a response in a polite but determined manner...never lets anyone off the hook"
"a superb knack of highlighting unfairness"
a long-haired terrier biting the ankles of the financial establishment"
September 2000 "brilliant---a fantastic combination of proper journalistic nous and an ability to back up everything." pressing [interviewees] firmly but politely when they're trying to wriggle out of questions"
his journalistic record includes dogged pursuit of justice on behalf of readers and listeners." personal finance, business, consumer rights, and related matters. I only wore the tie for the photo. In fact I only bought the tie for the photo. I do several things on Radio 4. For more than a decade I have presented Money Box on BBC Radio 4 each Saturday at noon, repeated Sundays at 9pm. On its website the archives go back to my first outing on 2 September 2000. I also present the phone-in Money Box Live on BBC Radio 4 on Wednesday afternoons, doing alternate monthly stints with my colleague Vincent Duggleby. Roughly speaking I do even months and Vincent does odds - but I do July, no-one does August and there are other exceptions - in 2010/11 we did the opposite. The Sins of Commission, 17 May 2005, tackled the difficult issue of the use of commission as the main way of rewarding financial advisers. It asked if earning commission biases the advice they give, found some surprising views, and looked for alternatives. Produced by Jennifer Clarke. The State Pension, 14 September 2004, examined the arguments for a radical reform of the state pension, paying it at a rate that would end means-testing. Produced by Jennifer Clarke. The programme won the 2005 Bradford & Bingley Personal Finance Media Award for Best Broadcast Programme. 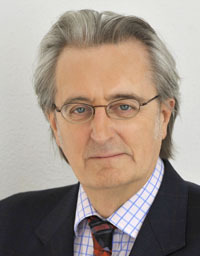 The Price of Poverty, 20 April 2004, asked why the poorest people in Britain are charged the highest rates of interest when they borrow money and why isn't there a legal limit on the rate of interest lenders can charge - as there is in Germany. Produced by Jessica Dunbar. The programme won the 2004 Bradford & Bingley Personal Finance Media Award for Best Broadcast Programme. Sometimes I am asked onto other programmes such as From Our Own Correspondent, You and Yours, Woman's Hour, Analysis, Open Book or news programmes like Today, The World at One, and PM. I am also a frequent contributor to Radio Wales and Radio Ulster commenting on personal finance matters. Local BBC stations use me from time to time. I co-present a new series on the World Service called Your Money. It deals with aspects of personal finance around the world. Here I am looking a bit smarter than I do on radio. But why are the microphones so much smaller on television? On most Saturdays I appear on Breakfast on BBC one talking about finance or consumer issues usually around 8.40 or 8.50. By a happy coincidence for me (if not for them!) the audience usually peaks around that time. I also appear in the week, usually on Thursdays and usually about 0640 and 0820 but these times and the day is subject to change. I also pop up from time to time on the BBC News Channel in the week, usually when there is a crisis! You can find some of these appearances here or by searching my name on the BBC News website. I write regularly for Saga Magazine. Each month I have a double page Money Works feature on a personal finance issue. Usually one which readers can use to make, save, recover, or keep money. I also write another two pages of Money News bringing together the important, the quirky, the interesting, and the useful things that have happened over the last month. Occasionally I interview politicians or write general features. Before the General Election in 2010 I hosted three webcasts putting questions from Saga readers to Gordon Brown, David Cameron, and Nick Clegg. Saga Magazine is the UK's premier publication for people over 50 with a circulation of well over one million and a readership probably double that. I have written for Saga Magazine since it began in 1984 and several of my pieces and the campaigns we ran have won prizes. I contribute occasionally to the Your Money section of the BBC News website. The story normally appears around Saturday tea-time. I write a fortnightly 'get your own back' tip on the money section of the Saga website. Every Friday I write the most evanescent thing imaginable - an e-mail to tens of thousands of Money Box listeners telling them what's coming up in the programme with my comment on the week. And if you've ever wondered if I'm an obsessive, stop it now. Because yes I do archive these e-mails as well. But don't get too excited they only go back to May 2006. It's a curious bit of self-reference to mention it here but I also, of course, write and publish my own website - this one. It contains the biggest collection of Wilkie Collins material on the web, a small section on Strand on the Green, as well as popular sections on Roman numerals and Victorian coinage. Here is its 10th anniversary strapline. There are six books of mine that you can buy or order for your library. This book does what it says on the cover! Like most of my books, it helps you save money. In this case by paying less tax. Less tax on your savings, less tax on your earnings, and less tax on your pension. It warns of the common traps that lead to many people paying too much tax. And don't think 'I'm not a taxpayer, I needn't worry about it'. If you have savings tax will be deducted without you knowing unless you tell the revenue to stop! This edition takes account of the Budget on 22 April 2009. 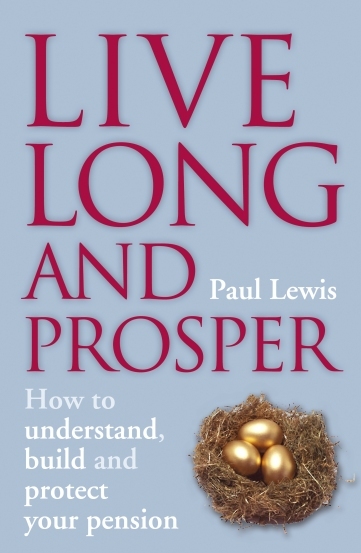 Aimed at people aged 50 plus this guide explains how to have more money. First by boosting your income. And second by cutting your costs. And when those fail it looks at how to cope with those inevitable life events that come upon all of us at some time - especially in our fifties. Originally published as part of Help the Aged's LifeGuides series. 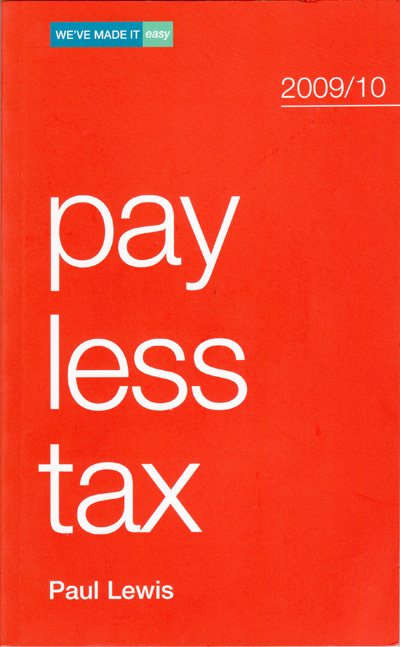 Like Pay Less Tax this book does what it says. It evens the odds in the battle between you and your bank. And helps you make sure that your money works as hard for you now as you worked to get it in the first place. It shows how six people of modest means can be hundreds of pounds a year better of by making simple changes to their banking savings and investing and all without taking (almost) any risk. And it explains the subtle ploys the banks use to keep as much of our money as they can get away with. A bargain at any price. And at �5.99 you're saving money already. It is really easy to buy this wonderful book - just click on the cover. It's only �12.99 but Amazon will charge you less and it will arrive in the post. Click the logo and I'll try to sell you a copy! 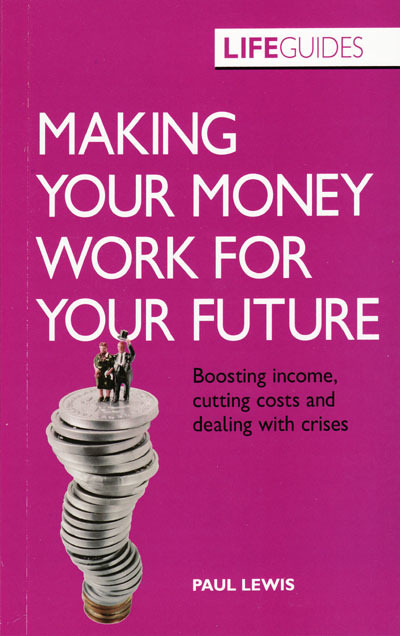 An alternative and sceptical guide to sorting our your finances, Money Magic was published in 2005, is out of date but is still my favourite of all that I have written. If you have ever wondered how much commission financial sales people earn, needed to borrow money at zero per cent, or save it at 5 per cent, wanted a list of the top seven financial scandals of the last 20 years, puzzled over the difference between saving and investing, or just thought 'where does all my money go?' then Money Magic will do the trick for you. Click on the cover to buy it. is rather different from my other books. It won't help you save money. In fact to buy it will probably cost you all you've saved with Money Magic. It is the definitive edition of the letters of the great Victorian writer, Wilkie Collins. The editors scoured the world to track down almost 3000 letters, including more than 2000 which have never been published anywhere before. The volumes include extensive academic notes, a long introduction and two indices - mentioned because I particularly sweated over them..
Apart from his wonderful writing, Collins was an early pioneer of the rights of authors to their own intellectual property. He led an unconventional life with two women, had three children under a different name, and knew all the great literary and theatrical figures of his day. I edited this book with three colleagues - Professor Graham Law, Andrew Gasson, and Professor William Baker. The Public Face of Wilkie Collins - The Collected Letters, Pickering & Chatto, London 2005. ISBN 1851967648, four vols �350 or $540. Members of the Wilkie Collins Society get a 30% discount, which means a big saving on the price after the �10 (EU) or �18 (elsewhere) membership fee. The great thing about leaflets is they're free. But still contain loads of useful stuff. You can download all these now for nowt. Sorry if my Northern roots are showing. Blame my hairdresser. 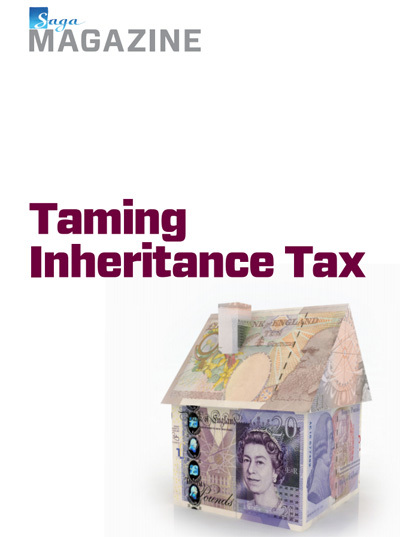 Taming Inheritance Tax is a comprehensive but easy to read guide to this most hated tax. In fact only about 3 estates in 100 pay it. But it is still feared by those with valuable homes. Find out if your estate will be liable when you die. And how you can legitimately reduce the amount due - sometimes to zero. Money Matters - Tipping the scales in your favour is for people who are in their fifties and want to know how to plan ahead to retirement. For some people their fifties are debts, redundancy, and money worries. For others they have never been so well off as children leave and the mortgage is paid off. But whether your middle years are financially good or financially bad, they will certainly be different. 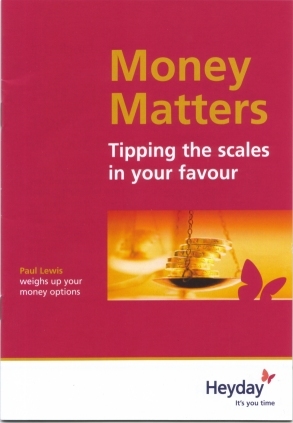 Money Matters explains all those fiddly financial things you need to know in your fifties but didn't take much notice of before. Published under the Heyday brand of Age Concern, you can still download Money Matters free here. As well as writing, I chair seminars and meetings, host awards presentations, and sometimes people are even foolish enough to ask me to make a speech. Some of my actual speeches are available on my archive pages. Individual links below. 15 January 2014 Key speaker at a discussion on social media and journalism? Organised by Cicero communications group. 29 November 2012 I spoke to two groups of employees of the pension and investment group Skandia about managing their personal finances. 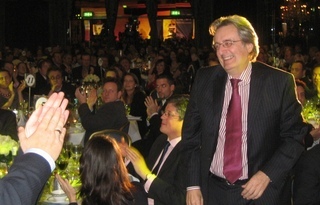 24 April 2012 I was thrilled to be Head Judge at the Financially Speaking awards for London school students. 14 September 2011 Chaired a meeting of the Chartered Insurance Institute on long term care - account of what I said. 25 July 2011 I spoke to the First Time Buyers peer panel at an event in London organised by Lloyds Bank. 21 June 2011 I gave a talk on financial advice to the Skeptics in the Pub in Leicester. 13 June 2011 I made the Keynote Speech to a meeting of Volunteer Visitors of the Royal Society of Chemistry Benevolent Fund. 8 June 2011 I was the Guest Speaker at the Investment Forum in Harrogate organised by Cofunds, talking about financial advice. 24 May 2011 I chaired the first of two events organised by Which? looking at the final recommendations of the Independent Commission on Banking. 19 May 2011 I spoke to about 100 PR folk at a Meet the Media event organised by Lansons PR company at its offices in Smithfield, London. 14 April 2011 I spoke to about 100 PR people and journalists at a networking event organised by the London Press Club, following my award from the Club last year. 15 February 2011 I joined the panel and spoke at a Policy Summit on Long Term Care organised by the think tank Reform. Transcript here. 13 December 2010 I chaired the Consumer Focus debate on the Independent Banking Commission interim report with its chair Mike O'Connor. 9 December 2010 I hosted The Big Debate for Platform, Co-operative Financial Services intermediary, at the London Film Museum on South Bank. 28 June 2010 Chaired meeting for Institute for Public Policy Research on research into personal debt..
23 April 2010 Swiss Re 'Totally Selective' panel on insurance for Swiss Re headquarters staff. 10 December 2009 Transforming Financial Services Keynote address at the Consumer Congress, Church House, London. 1 December 2009 Chaired National Right to Fuel Campaign meeting at the House of Commons with Energy Minister David Kidney on Eradicating Fuel Poverty - Who Pays? 12 November 2009 Financial Services People Need Keynote address at the West Midlands launch of the National Skills Academy Financial Services, Millennium Point, Birmingham. adding a note of scepticism and inviting questions from the pension fund managers and advisers present. Is property really the next big thing? Or is it already too late? 30 September 2009 Gave a Thought Leadership address to employee benefit specialists at two events run by Standard Life on the topic Restoring Faith in Pensions, Royal Exchange, City of London. 22 September 2009 Chaired a Question Time for the Civil Court User's Association at the Leicester Marriott hotel. 8 and 10 September 2009 Ran eight money seminars for staff in the distribution division of Argos at a two day conference in the Heritage Motor Centre in Warwickshire. Looking at saving and making money on personal finance items. 25 November 2008 Keynote speech at the annual meeting of the Money Advice Liaison Group 20 years of talking about debt - who's listening? 20 November 2008 Spoke at the Roadshow of the Banking Code Standards Board on The Future of the Banking Code in the City of London Club, Old Broad Street. 13 November 2008 Chaired the plenary session at the International Conference on Responsible Credit in London for the Centre for Economic and Social Inclusion with senior executives from the USA, Portugal, Scotland and London. 23 October 2008 Chaired the day's debates on collecting debts at the Credit Today annual conference in Warwickshire. 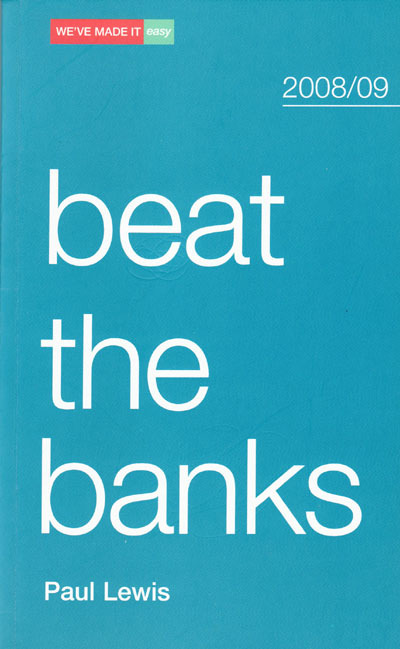 16 October 2008 Gave the Building Societies Association's Annual Lecture Beat the Banks at the London Stock Exchange with chief executives of many building societies and representatives from Government departments and trade bodies. 10 July 2008 Spoke to customers and staff of Atradius on the credit crunch near Oxford. 25 June 2008 Gave the Keynote Address to the annual meeting of the Community Development Finance Association in Leeds and answered questions. 8 May 2008 Gave the opening speech at the 2nd MasterCard Europe Prepaid Conference in Cannes and answered questions on the panel for the Voice of the Customer session..
28/29 April 2008 Spoke on the retail distribution review and chaired four question time sessions on pensions, investment, protection (insurance), and estate planning at the annual convention of Lighthouse Group in Monaco. 22 April 2008 Chaired a meeting called by Energywatch in London to launch its Global Energy Audit of local initiatives from around the world which are making a significant difference to CO2 emissions. Environment Secretary Hilary Benn spoke among others. 18 March 2008 Chaired meeting hosted by the Pensions Policy Institute on the impact of means-testing on the Government's proposed personal accounts pension scheme with Pensions Minister Mike O'Brien, PPI Director Niki Cleal, and Equality and Human Rights Commission Policy Director Christina Barnes. 28 January 2008 Launched Spot the Dog Bestinvest's annual look at the worst investment funds. With Bestinvest Chief Executive Andrew Barnes. 6 December 2007 Chaired the day long Saver Summit for the Association of British Insurers with its Director General Stephen Haddrill, Otto Thoresen chair of the Generic Financial Advice Review, Pensions Reform Minister Mike O'Brien, Chris Grayling MP Shadow Secretary of State for Work and Pensions, and the Liberal Democrat shadow Danny Alexander, followed by Tim Jones, Chief Executive of the Personal Accounts Delivery Authority. 5 December 2007 Chaired the launch of Easy Come, Easy Go a report by Standard Life on debt over the life cycle with Standard Life Chief Executive Anne Gunther, Professor Elaine Kempson of the Personal Finance research Centre at Bristol University, and MPs from the three main parties. 21 November 2007 Hosted Question Time at the Professional Pensions Show with Pensions Minister Mike O'Brien and his Conservative and Liberal Democrat Shadows Nigel Waterson and Danny Alexander as well as Kay Carberry from the TUC, Nigel Peaple from the National Association of Pensions Funds, and Neil Carberry of the CBI. 15 November 2007 Chaired Question Time on insurance broking for the insurance periodical Post Magazine at the London Stock Exchange. 5 November 2007 Spoke on Financial Advice or Commission Driven Sales? at the annual dinner of the Financial Services Research Forum at the London Docklands Hilton. 25 October 2007 Chaired a debate for The National Right to Fuel Campaign on Who Pays for a Sustainable Energy Policy? with Alan Simpson MP, Dr Alan Whitehead MP, Professor Catherine Waddams, Dr Sarah Darby, Peter Lehman and others. At Portcullis House, Houses of Parliament. 18 October 2007 Spoke on Debt and the Banks at the presentation of his Annual Report of the Independent Review Service by Sir Richard Tilt, Social Fund Commissioner at Sadler's Wells, London. 16 October 2007 Chaired the Annual Conference and hosted Question Time for the Association of Home Information Pack Providers with Housing Minister Iain Wright in London. 18 September 2007 Chaired a debate on pensions for the Investment Management Association at the Liberal Democrat conference in Brighton. 4 September 2007 Chaired the Retail Distribution Summit organised by Osney Media including Question Time with top figures including Dan Waters of the FSA, Mike Yardley CE of Royal London, Otto Thoresen CE of Aegon. 7 August 2007 Panellist on Question Time at the Financial Services Authority Summer School with FSA Chief Executive Hector Sants, Chief Financial Ombudsman Walter Merricks, and senior FSA Directors at St John's College Cambridge. 13 June 2007 Chaired Question Time on 'Treating Customers Fairly for Insurance Times at Grocer's Livery Hall in the City. 6 June 2007 Chaired meeting of energywatch with Environment Minister Ian Pearson who explained the steps taken in the Government's Energy White Paper to meet fuel poverty targets. 24 May 2007 Pensions - key challenges Opening speech to the National Association of Pension Funds Annual Conference in Manchester. 24 May 2007 Chaired Question Time on pensions at the National Association of Pension Funds Annual Conference in Manchester. 23 May 2007 Too much Finance and not enough service. Opening address to the Building Societies Association Annual Conference in Bournemouth. 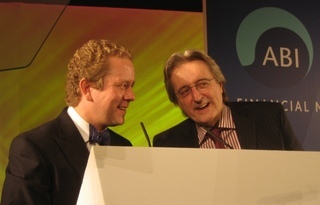 17 May 2007 Chaired the morning session and Question Time at the Credit Show, Olympia, London with John McFall MP and representatives of the Financial Ombudsman, Experian, the Bankruptcy Service and Nationwide. 10 May 2007 Chaired debate on The Brave New World of Pensions at the Money Marketing Live conference at Olympia in London. 27 February 2007 Spoke on How to treat customers better at the FSA Retail Firms Division Conference to about 200 senior people in medium sized financial firms - with FSA Managing Director Clive Briault and Director Sarah Wilson. 5 December 2006 Chaired a meeting for the National Right to Fuel Campaign on how low income households can afford rising fuel prices, with experts and DEFRA Minister Ian Pollard. 28 November 2006 Spoke on Financial Capability, FSA Powers, and Commission to the Financial Services Consumer Panel meeting on 'Making Better Financial Decisions' at the Docklands Hilton. 23 November 2006 Chaired - and made an opening presentation to - the annual Saver Summit of the Association of British Insurers at BAFTA in Piccadilly, London. With Secretary of State for Work and Pensions John Hutton, Economic Secretary to the Treasury Ed Balls and Chief Executives of major insurance companies. 16 November 2006 Made a presentation on the Risk of Pensions to risk managers, organised by Atradius. 8 November 2006 Hosted Question Time on insurance broking for the insurance periodical Post Magazine at the London Stock Exchange. 7 November 2006. Addressed the Moneyfacts Conference 2006 on 'What Does the Consumer think of You? at the Shaw Theatre. 18 October 2006 Chaired a presentation by the Financial Services Authority and the Treasury at Lancaster House on new work to help children, students, and young adults understand the complex world of personal finance - what they call 'financial capability' - with FSA Chief Executive John Tiner and Treasury Ministers Ed Balls and Stephen Timms. 25 July 2006 After dinner speech to compliance professionals at the Financial Services Authority Summer School as St John's College, Cambridge. 18 May 2006 Panel Member at Question Time at the Annual Meeting of the Building Societies' Association, Manchester. 4 May 2006 Chaired the Pension Panel Debate at the Money Marketing Live conference, Olympia, London. 31 March 2006 Spoke on Mortgage Madness at the Annual Lunch of the Council of Mortgage Lenders, London Hilton, Park Lane. 28 February 2006 Spoke on What? Why? Who? at the Meeting of Minds conference of financial advisers and financial product providers for OwenJames events at Lanesborough Hotel..
23 March 2005 Chaired Pensions Panel for Which? Choice Conference. 24 February 2005 Spoke on How well do Financial Advisers Serve the Public to the Retail Intermediaries Conference for the Financial Services Authority in Birmingham. 9 February 2005 Chaired Pensions Question Time for Chartered Institute of Personnel Development. 13 May 2004 Presented an onstage interview for the National Association of Pension Funds annual meeting in Glasgow. In previous years I have hosted the Business MoneyFacts awards, the British Computer Society Management Awards and the MoneyFacts Awards. 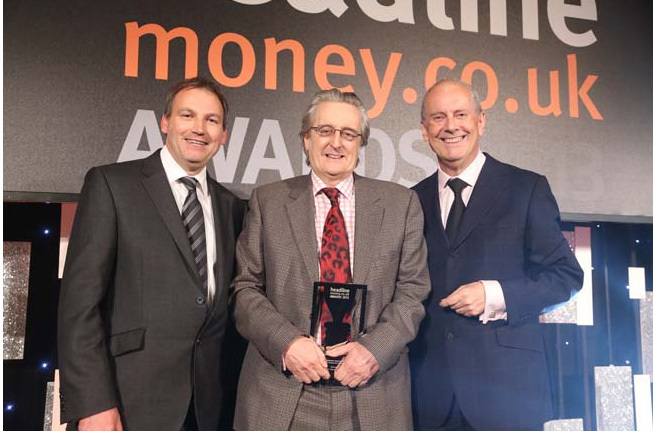 2014 For what may be a record sixth time I was named Financial Broadcast Journalist of the Year at the Headline Money Awards on 7 May 2014 at the London Hilton. I won "Narrowly" the judges said "after long and hard deliberation". Phew! But they went on to say "Very thorough, always relevant...and when push comes to shove he always nails a response...never lets anyone off the hook." Details p.51 Alastair Campbell presents. 2014 The Chartered Insurance Institute launched a new set of awards this year - The Public Interest Awards which are for people and firms which have gone a bit further to to educate, inform, and benefit customers. One award is made outside the industry. And I was delighted and flattered to be the first recipient of that - the Voice of the Customer Award - at a lovely ceremony on 6 February 2014 in St Luke's, Old Street in London. 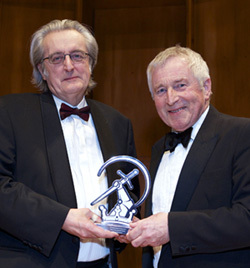 Award presented by Jonathan Dimbleby. 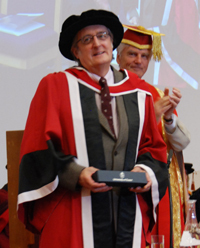 2013 I was awarded an honorary doctorate by the University of Essex on 17 July 2013 for my work as a journalist over many years, in particular defending the interests of consumers against financial firms. So now it is Dr Paul Lewis BA, MSc, DU (Essex)! Over my shoulder is the Chancellor of the University, Lord Philips, who conferred this marvellous honour on me. 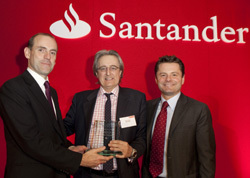 2012 Money Box is voted Personal Finance Broadcast Programme of the year at the prestigious Santander Media Awards on 14 November. I was unable to collect it as I was in Manchester. Series producer Lesley McAlpine picked it up. 2012 I was delighted to win an award for Best Provision of Advice and Information through the Media to Older People at the Roses Media Awards on 8 November both for my blog and for Money Box Live. 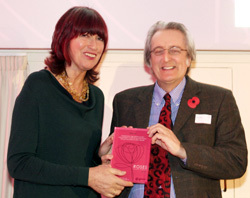 Janet Street Porter presents it to me. 2012 The Headline Money Awards at the London Hilton saw both me and my Money Box colleague Bob Howard shortlisted for Broadcast Journalist of the year. In the event neither of us won it. I was Commended - 2nd in other words. 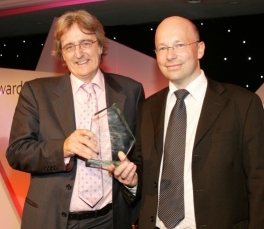 2011 On 21 June the Association of Investment Companies named me Best Broadcast Journalist. The award is voted for my members of the AIC. Sadly I couldn't attend as I was in Leicester giving my talk to the Skeptics in the Pub. 2011 On 11 May I was named Broadcast Journalist of the year (for the 4th time) at the Headline Money Awards at the London Hilton hotel. It is the fourth time I have won this strictly judged award. I was, the judges said "way out in front" and "a superb knack of highlighting unfairness and it is commendable that he continues to probe and probe a subject and not let it lie." 2010 The next day, 29 April, the London Press Club gave me the award of Consumer Journalist of the Year for my work on Money Box. Three awards in two days is something of a record. 2010 28 April (still) and luckily I didn't leave after winning Broadcast Journalist (I wasn't drinking and wanted an early night but I thought it only fair to stay until it was over and chat to people). The evening always ends with the award of the overall Headlinemoney Journalist of the Year generally taken from the ranks of those who have won one of the awards already. And this year as soon as the announcement began with the word 'radio' it was clear it was going to be me. It was awarded for my work with Radio 4, BBC Breakfast and Saga Magazine. Which was good as my freelance nature is sometimes not recognised. 'Delighted' hardly sums it up even when you add 'surprised'. 2010 28 April and off I go to the usual 1000 strong bash in the London Hilton which is the Headlinemoney awards for finance journalism. They began in 2001 and you will find a couple of previous wins if you scroll down but nothing since 2005. So I was delighted when the Broadcast Journalist of the Year was given to me against some rally quite tough opposition. "Stonkingly good" one judge called me - hmmmm. 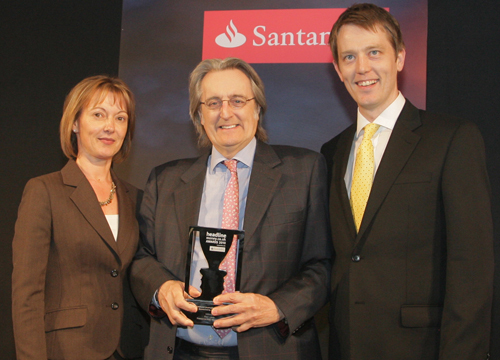 2009 The third award of the year as Money Box wins the Santander Personal Finance Media Award for Best Broadcast Programme. 2009 For the fourth time in five years (what did happen in 2007?) Money Box won the award for Financial Programme of the Year at the Association of British Insurers Financial Media Awards. Senior producer Lesley McAlpine and I collected the award on behalf of the team. I was also - once more! - runner up in this award which is actually Financial Programme or Broadcaster of the Year. I was one of the 'or broadcasters'. But the Money Box juggernaut overwhelmed us both. And so it should. 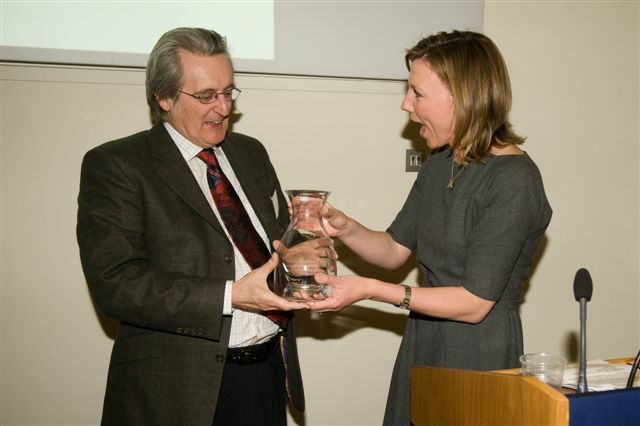 2009 Money Box was voted Best Radio Programme at the Voice of the Listener and Viewer annual awards at the Geological Society on 30 April. This is the first time that Money Box has been votes best programme of all - as opposed to best finance programme. So a great prize. And I got to make an acceptance speech - very rare nowadays. 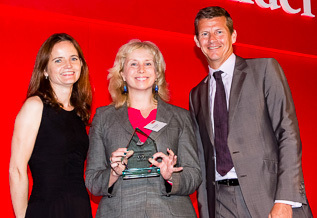 Here I am accepting the trophy from Sarah Montague of Radio 4's Today programme. I don't know why she looks so happy. And where's my hair going? Grey is one thing. Missing quite another. 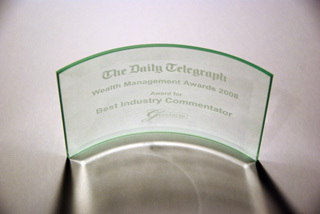 2008 I was voted Best Industry Commentator at The Daily Telegraph Wealth Management Awards organised by Goodacre. Now in its second year this award is voted for by the public and the financial adviser industry. According to the judges I got more than twice as many votes as my (unnamed) closest rival. And apart from the usual glass trophy we all got a free tour of parts of Kensington Palace where the ceremony was held. 2008 For the second year running Money Box was runner up in the Best Broadcast Programme at the Personal Finance Media Awards. These awards were run by Bradford & Bingley but are now hosted by Abbey after it took over the savings part of B&B when the company was rescued by the Government. 2008 For the third time in four years Money Box was voted Financial Programme of the Year at the Association of British Insurers Financial Media Awards. The picture shows me and Senior Producer Lesley McAlpine collecting the glass trophy. I've kept it small because I look weird. The ABI tells me it is the best picture of all the ones taken! I was also runner up in this award which is actually Financial Programme or Broadcaster of the Year. So with two chances at the big prize one of us was almost bound to win! BBC News Online, which I write for most weeks, won Financial Website of the Year but I take no credit for that. 2007 Money Box was the runner up in Broadcast Programme of the Year at the Bradford & Bingley Personal Finance Media Awards on 31 October 2007. Presented by BBC news presenter Sophie Raworth and, seen here, Steven Crawshaw Chief Executive of Bradford & Bingley. The top award was won by our colleagues on the Money Box team for the summer programme Inside Money om payment protection insurance. 2007 It's not really an award but I didn't know where else to put it. For reasons unknown I was one of the 1000 or so additions to the 2007 edition of the UK's most authoritative dictionary of contemporary biography Who's Who. It contains 32,000 lives and I think I can honestly say that every single one of the people who live them is better known than me! But if you want to see where I got my degrees or what my hobbies are, find this book in your library (or click on the image and buy it online for only �130.50!). The great thing is once you're in there you stay until you die. Then the fight is on to get selected to Who was Who. 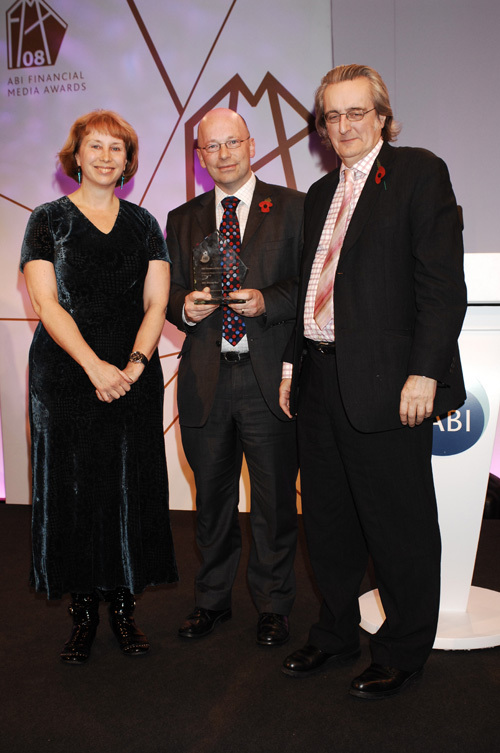 2006 Barely a week after the ABI awards Money Box won Personal Finance Broadcast Programme of the Year at the prestigious Bradford & Bingley Personal Finance Media Awards on 1 November. Now in its 20th year, the judges in this doyen of awards said "the programme tackles important issues in a consumer friendly, interesting way." and "the judges commended the team for keeping up excellent standards and providing thoughtful and trusted advice.". Here I am with assistant editor Chris A'Court, flanked by the Today Programme's Sarah Montague and Steven Crawshaw Chief Executive of Bradford & Bingley. 2006 26 October 2006 was a bit momentous. I was given a lifetime achievement award. Which is a bit odd because I have only been doing personal finance for 20 years not a lifetime and I am a long way from retiring! The Association of British Insurers have been running the Financial Media Awards for eleven years and for some reason the people who vote - financial services PR offices - decided now was the time to give me this award. The comment I liked best was "If you do not know your stuff, he will!" In fact it is exactly 20 years since I won my first award and gave up the day job to become a freelance financial journalist. 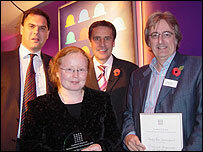 2006 At the same ABI Financial Media Awards Money Box was named Financial TV/Radio Programme of the Year. The judges said it was "Authoritative, topical and entertaining" and so it is. Not least because of the wonderful team of people who work on it. John Culshaw of Dead Ringers is on the left. And on the right is his impersonation of me. 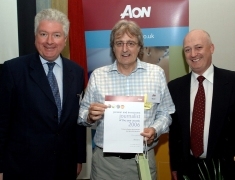 2006 On 6 July I was named Consumer Pension and Investment Journalist of the Year by the global business consultancy, Aon. This is the first time I have won this 22 year old prize, though I was runner up in 2002. The ceremony, at Portcullis House in Westminster, was hosted by Sir John Butterfill MP. 2005 On 9 November The State Pension, broadcast on 14 September 2004, was named Broadcast Programme of the Year at the Bradford & Bingley Personal Finance Media Awards 2005. The programme examined the arguments for replacing the state pension with a universal citizen's pension, fixed at a rate that would end means-testing, and found a surprising consensus. I wrote and presented the programme which was produced by Jennifer Clarke, seen here collecting the award with me. The judges said "the programme dealt a very important issue for all consumers in a very digestible manner." 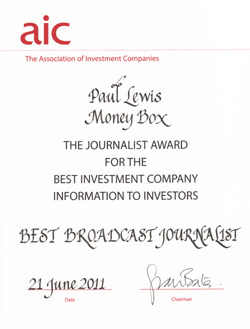 2005 Money Box was named Financial TV/Radio Programme of the Year at the tenth ABI Financial Media Awards on 14 September. 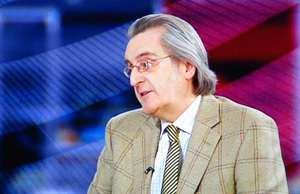 "tough, enquiring, but fair" the judges said and added "always lively and topical". Who can argue with that? 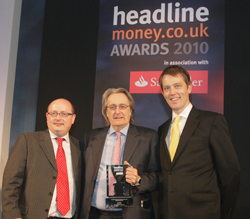 2005 For the second year running I was named Broadcast Journalist of the Year at the headlinemoney Awards at Grosvenor House hotel for my work on Money Box - "a cracking good programme every Saturday". The judges said "lurking behind a personable, smooth and easy going style, Lewis is a consummate and hard-hitting professional." One nominator said "Paul knows just how to get the best out of interviewees - pressing them firmly but politely when they're trying to wriggle out of questions." 2004 On 10 November Money Box Investigates - the Price of Poverty won the Personal Finance Broadcast Programme category at the Bradford & Bingley Personal Finance Media awards. The programme looked at why the poorest people in Britain pay the highest rates of interest when they borrow and asked if the Government should put a limit on the rates of interest that can be charged. I wrote and presented the programme which was produced by Jessica Dunbar. The judges said "the programme dealt with a very important issue for all consumers in a very digestible manner.". 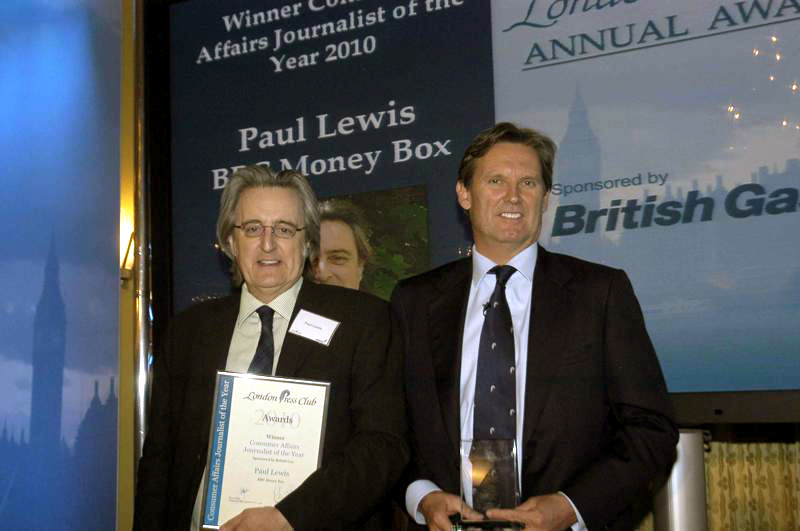 2004 On 28 April I was named Broadcast Journalist of the Year at the headlinemoney.co.uk awards 2004 for "yet another brilliant year of Money Box interviews and investigations." and "his ability to politely nail industry bosses to the studio wall." 2003 Top broadcaster, and only purely radio broadcaster, in the Money Marketing Top 100 People with Power and Influence in Financial Services. Second among journalists, overall place 45th. 2002 Top broadcaster in the 2002 Money Marketing Top 100 People with Power and Influence in Financial Services. Overall place 47th. 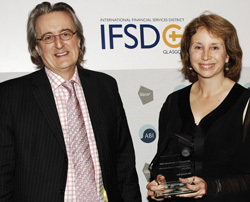 2002 Pensions and Investment Journalist of the Year, Consumer Award, runner up. Sponsored by Aon Consulting. 2001 my work on Equitable Life on Money Box won me the Broadcast Award in the British Insurance Broker's Association Journalist of the Year Award. 1986 Argos Awards for Consumer Journalists - Winner Magazines. It was getting this prize in November 1986 - when journalism was just a hobby - that gave me the courage to give up the day job and go freelance as a full time writer. 2008 BBC News Online - which I write for most weeks - won Financial Website of the Year at the Association of British Insurers Financial Media Awards. 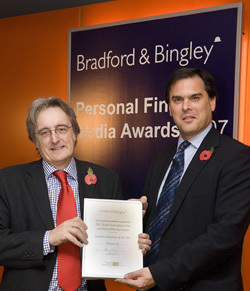 2006 BBC News online - which I contribute to each week - was named the Personal Finance Website of the Year at the Bradford & Bingley Personal Finance Media Awards on 1 November. 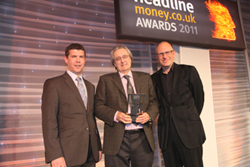 2006 Money Box came 3rd at the headlinemoney awards in the Consumer Team of the Year Award. The broadcast award was not run this year. "...a crackingly good money team...that fails to get the recognition it deserves in awards which too often are dominated by print titles....Money Box produces superlative ground-breaking stories week in and week out...What�s more, its efforts are regularly followed up by the nationals." 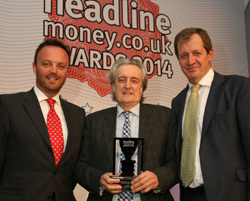 2006 BBC News Online Your Money was the headlinemoney Financial Website of the Year. My stories appear there most weeks after Money Box. 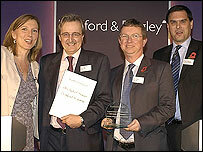 2005 BBC Online was Runner Up in the New Media category at the Bradford & Bingley Personal Finance Media Awards. My stories appear there most weeks after Money Box. 2005 BBC Online was named Financial Website of the Year at the Association of British Insurers Financial Media Awards. My stories appear there most weeks after Money Box. 2004 The Money Box website, produced by Nathalie Knowles, was runner up in the New Media category at the Bradford & Bingley Personal Finance Media Awards. BBC Online was the winner. I write stories that appear in both. 2001 Money Box Live beat off rivals from radio and television to be named Personal Finance Broadcast Programme of the Year in the prestigious Bradford & Bingley Personal Finance Media Awards. The judges said the programme was "consistently informed, authoritative while always dealing with the heart of their listener's issues." 2001 In the same awards on 6 November Money Box was was given a Special Commendation for its "superb handling of the complex and ever-evolving circumstances surrounding Equitable Life." All fees are negotiable and payable on a 30 day invoice. I am VAT registered. I sell copyright nowadays for print and online use but I never sell all rights. And I always assert my moral rights under the Copyright, Designs, and Patents Act 1988.